The Xsheet view has a Column List section that shows all the columns contained in the exposure sheet. It can be used to hide individual columns. 3. In the Column List section, select the columns to display and deselect the columns to hide. 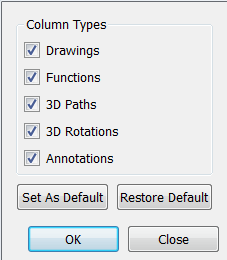 You can also click the Hide Selected Column button in the Xsheet View toolbar’s extra buttons. 1. 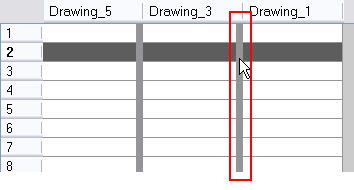 In the Xsheet view, click on the thick grey line that represents a hidden column. You can also right-click on the column header and select Show Hidden Columns. 2. In the Show column, select the hidden columns you want to display in the Xsheet view. ‣ Click Uncheck to deselcted all selected columns. 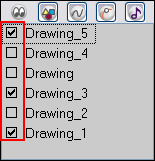 In Toon Boom Harmony, in the Xsheet view menu, you can select View > Unhide All Columns. ‣ Right-click on a column and select Tag > Function Columns Visible or Function Columns Invisible. 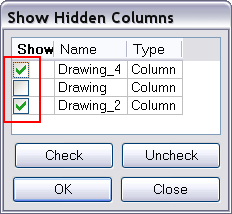 As you work in Harmony Xsheet, some columns may be in the way or are used as references. You can hide these columns to declutter your work area. In the Xsheet view, you can hide or show certain types of columns, such as Annotation and Function. 2. Select the types of columns you want to display and deselect the ones you want to hide.